In the well known Greek myth, Icarus, attempting to fly with wings that his father had constructed from feathers and wax, ignores instructions not to fly too close to the sun, the wax melts and he falls into the sea and drowns. If the wind industry is to develop its full potential, it must ensure that the wings of its turbines are technologically advanced enough for them to be viable producers of energy both economically and sustainably. Feathers and wax will not do. 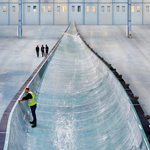 Only the continuous improvement of rotor blades will allow the sector to tap into more moderate wind speed markets and enable off-shore wind farms to become truly cost effective. 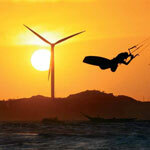 Where are the three most promising wind energy markets outside Europe – and why? The first country with promising opportunities is Brazil – a dynamic high growth country which is starting to embrace renewables. And with the World Cup and Olympics coming up, the world’s attention will be focused on Brazil. Then there’s China – the size of the country is enough to make it promising on its own, but if the challenges surrounding gaining access to the market and stimulating a global market place can be addressed the potential for European players is huge. There is also the Middle East. Delivering renewables in a region so intrinsically locked into oil is also a challenge, but the rewards and potential are great. Once again, a moribund global economy defined the year as politicians around the world tried to get ahead of the stubborn financial and debt crisis. 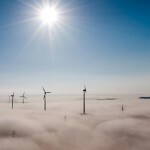 And yet, for the European wind industry, 2012 included a signature achievement when, in late September, it was announced that the EU had passed the milestone of 100 gigawatt (GW) of installed wind power capacity. This can generate enough electricity over a year to meet the total consumption of 57 million households, equivalent to the power production of 39 nuclear power plants. 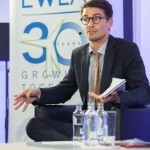 The year was also significant for the European Wind Energy Association (EWEA) which celebrated its 30th anniversary of guiding the wind energy sector in its transition from an alternative to a mainstream power source. EWEA also announced that Thomas Becker would become its new Chief Executive Officer when Christian Kjaer, after seven years in the top job, steps down early in 2013. It had the potential to be a battle, but in the end renewable energy projects look set to receive the lion’s share of €1,500 million of EU funding set aside for renewables and carbon capture and storage (CCS). At least €1,210 million of the total should go to 23 renewables projects, including six wind energy proposals, according to a draft decision submitted to the EU’s Climate Change Committee meeting on 13 December. Originally, most of the money was supposed to go to CCS projects, but most projects failed to secure the necessary permits or additional Member State funding. 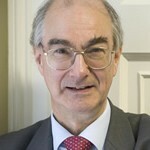 The anti-wind energy Renewable Energy Foundation yesterday published an “anonymously peer reviewed” study by wind energy critic Professor Gordon Hughes (author of ‘The myth of green jobs’ and ‘Why wind energy is so expensive’) claiming that the economic life of wind turbines is 10-15 years rather than the 20-25 years stated by the wind industry. Given that the author and publisher have a history of attacking wind energy and the fact that they do not say who peer-reviewed the study, perhaps one should not take the study too seriously. But that does not stop it being reported in the British media.